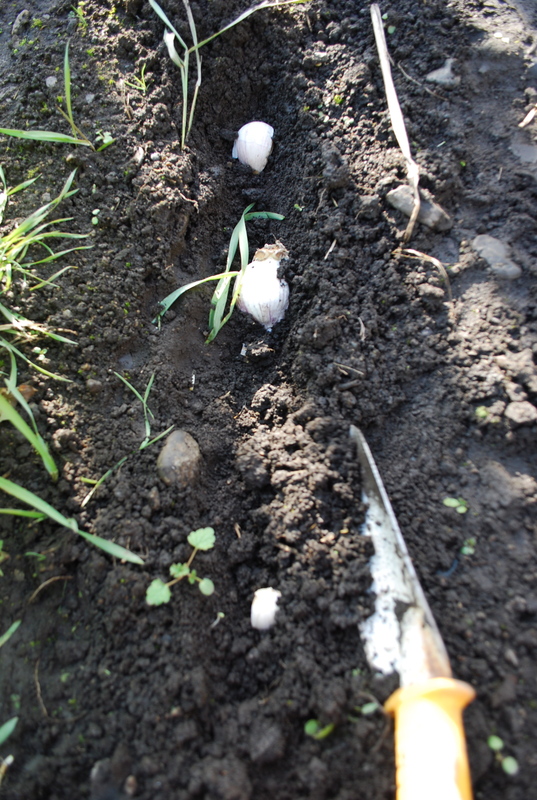 It is a bit late, but not TOO late to plant my garlic again. 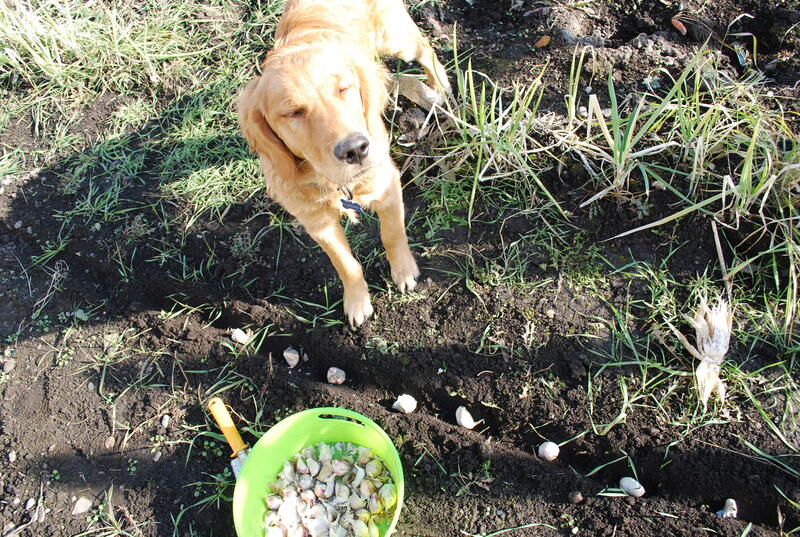 We plant every year in the fall using the garlic bulbs from our harvest. Your supposed to plant in the fall. Actually my uncle Jack usually does the planting part…..but this year he didn’t get to it and I was afraid we would miss our opportunity. I had an extra half hour before needing to get to my 8yr olds assembly at his school, so I rolled up my sleeves and put my garden clogs on … here is how it went. 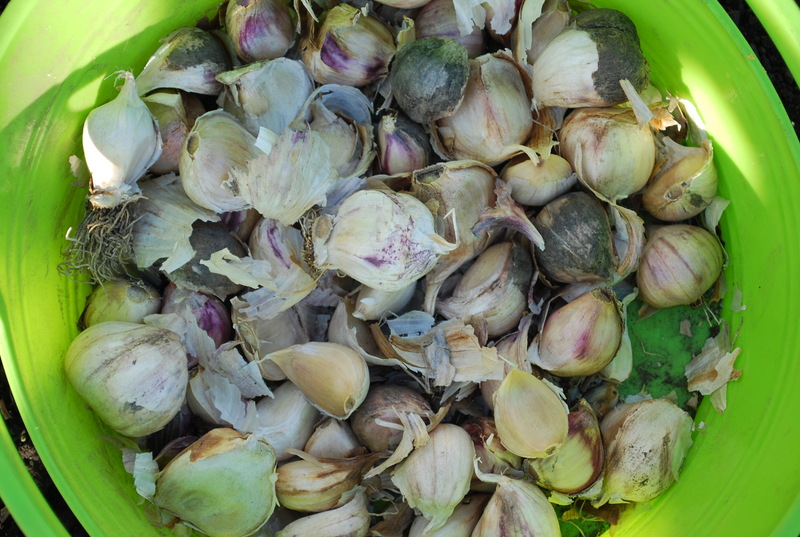 You start with a bunch of garlic bulbs preferably from your garden or your neighbor's garden, just make sure it's fresh. 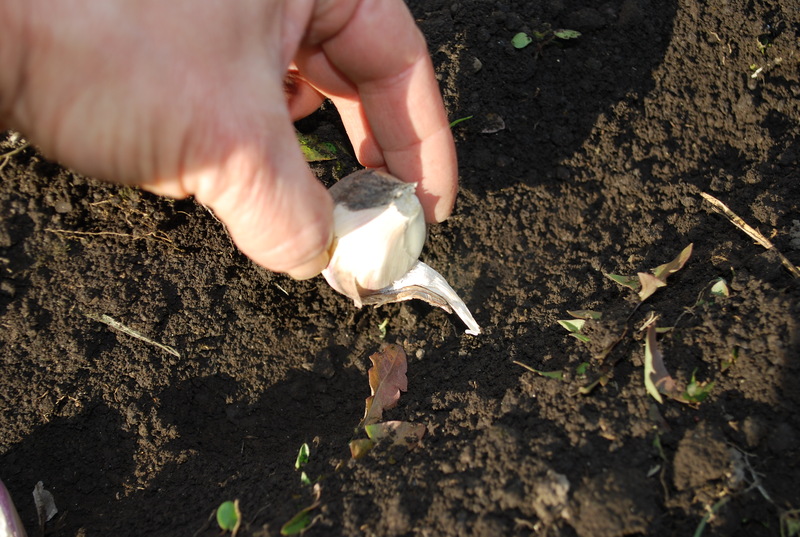 Break the bulbs apart into individual cloves like this. I put each clove in pointy side down.....this was a stupid mistake. Pointy end goes UP! I knew it was important to plant it with a particular side up or down or something like that….so rather than checking first….I just went ahead and did what I “thought” I remembered ….problem is I don’t remember things well…. Plant about 4 inches apart and cover with about 2 to 4 inches of soil. I totally didn't plant it deep enough either! Thank God I only planted one row! So tomorrow, I will go out again into the garden and flip all the flipping garlic around so the pointy end is facing up dang it! I will also plant it deeper. Because I simply CANNOT LIVE without my garlic! I LOVE garlic, I use it in everything…..Maybe I can get Jack to do it for me. I’m probably just to delicate for replanting and flipping garlic. 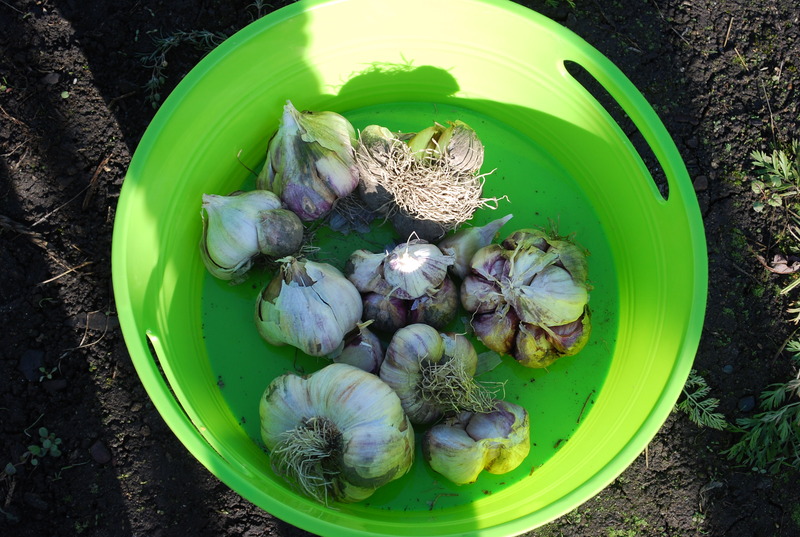 This entry was posted in Barbie's Life, Fall Ideas, Healthy Living and tagged gardening, Garlic, garlic mistakes, garlic planting, humor, mistakes in gardening. Bookmark the permalink.